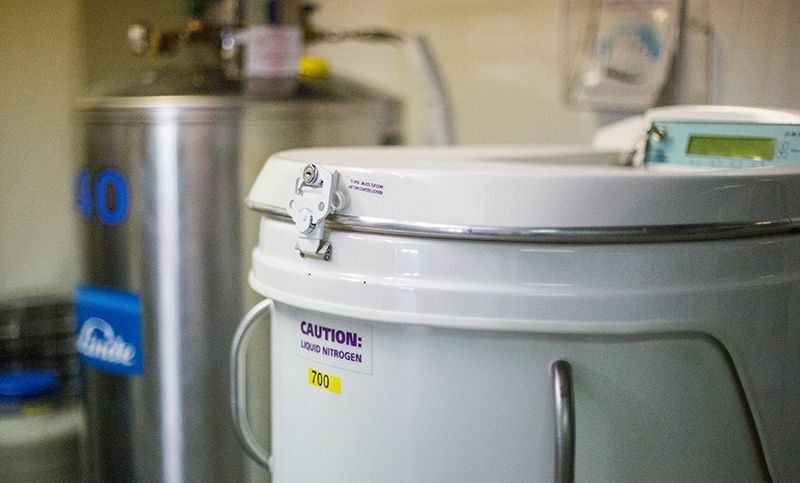 Our storage facilities ensure sound and safe storage of your samples. Apart from the obvious safety measures against burglary and fire, the temperatures of all storage locations, LN2 vessels, freezers and refrigerators, are continuously monitored through our validated network and equipped with a temperature alarm system. In addition, we have automatic LN2 filling, CO2-backup on the -80°C, an emergency power supply and plenty of dry ice in stock. Need a place in our bio storage?